Probably the warmest and nicest day of the year so far. Perfect day to eat something that can really take advantage of the weather. Picnic? Fish 'n Chips on the wharf? A sandwich from Finch's eaten at the seawall? Nope, nope and nope. Pomegranate and I went to eat hot pot. That's right, a boiling vessel of steaming broth. That's exactly what we needed today. Yah, call us weird, call us strange; but never accuse us of not putting food first before function. Besides, the place is air-conditioned. 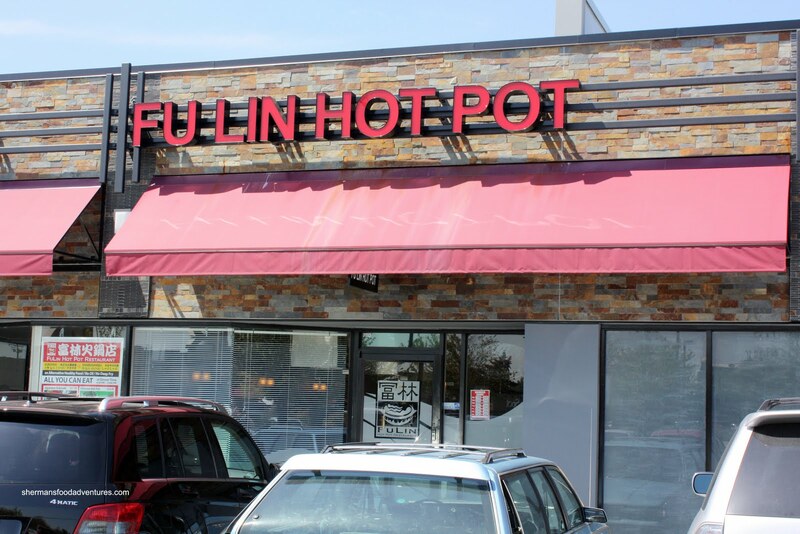 Hot pot anytime baby! It reminds me of the time we had hot pot at Costanza's house in mid-July. Halfway through our meal a nd dripping with sweat, we figured that it was not exactly the best idea. Just like the time we lined up for Boxing Day whilst eating Yogen Fruz. Fine, we make bad decisions. Maybe we'll go for a sno-cone in December. To add insult to injury, Fu Lin doesn't offer AYCE for lunch. However, there were a few lunch specials for und er $10.00. Each special comes with a choice of dipping sauce. We got our items pretty quickly and I put some Dumplings and beef slices into the boiling broth. I look down for a second and Pomegranate proclaims that, "it's cold and frozen in the middle". Cold and frozen? Huh? The beef slices are really thin and they should cook... OH NO! "You didn't eat the dumpling did you???". Apparently he plopped the whole thing in his mouth and had swallowed it. The dumpling had only been in the broth for less than a minute. Well, pork sashimi is not dangerous is it? Anyways, the cooked dumplings were quite good with a soft skin and meaty filling . 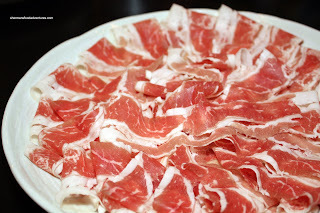 The super thin slices of Fatty Beef cooked on contact with the boiling water. Very tender; but gone very fast. It looks like a lot more than there really is. 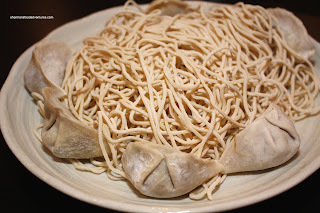 We really enjoyed the Fresh Noodles. Since we could control the cooking time, we pulled them out when they were al dente. 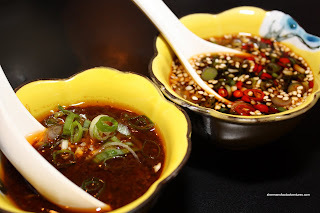 Mixed with the dipping sauces (satay and spicy soy), the noodles were actually one of the highlights of the meal. As for the veggies, we had Napa cabbage and Shanghai bak choy. Both were fresh and properly cleaned. For my combo, I got some shrimp, mussel and squid. 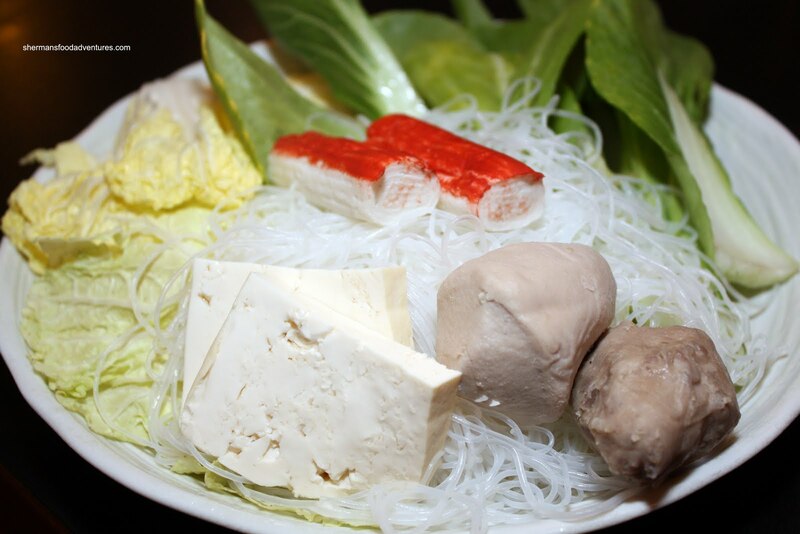 As for the other items, they are your typical prepackaged foods such as meatballs, fish tofu, imitation crab and vermicelli. Nothing much to say about them other than they were fine to eat. 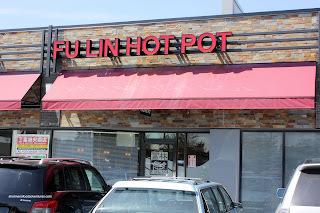 In terms of being a hot pot restaurant, Fu Lin does the job for a reasonable price. What we really look for in these type of places is freshness and value. Considering that there are not many choices in Coquitlam, Fu Lin is pretty good. Furthermore, the AYCE for $18.95 is a more than acceptable price given all the mitigating factors. I drove by the place when I took my dad to the White Spot there...we were going to try it but it was too hot! I don't think there are many places for hot pot in Coquitlam...thanks for the review! Sherman, I urge you to just -try- driving in port coquitlam. Really. There are no streets there. It's just one. big. hazard. zone. You can't drive a 50km without running over a kid skateboarding down a ramp and falling into the middle of the street. ANYWAYS, Fulin is a nice little place, I quite like it. LOL!!! You guys are so mean!!! I grew up in Coquitlam!!! Not that bad!!! LOL! I'll have to remember and hit up a hot pot with you guys next time I'm in Vancouver. BG, give it a try definitely. Very decent. BG, I spent 8 years in Coquitlam. I love Coquitlam! Chris, game on. 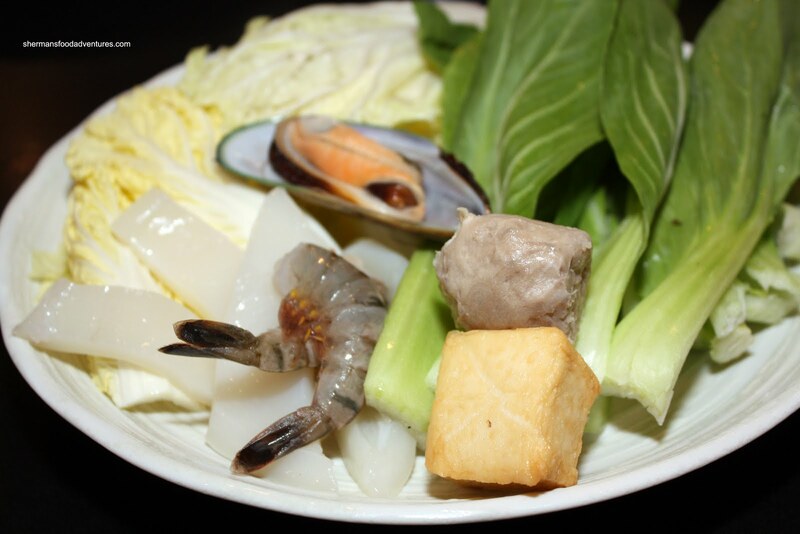 Hot Pot for u!